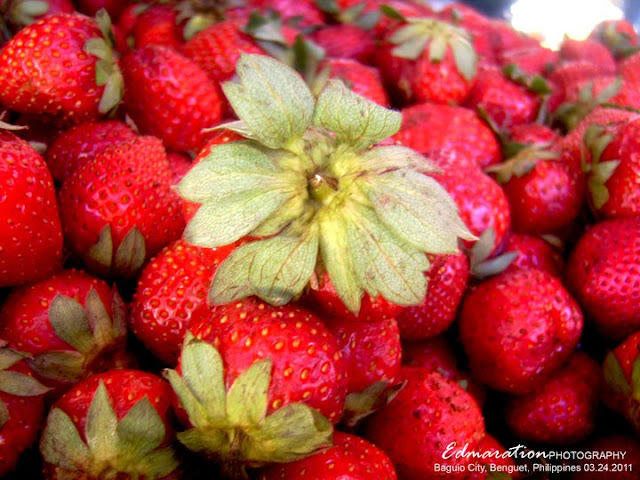 "With the usual way of having a date in restaurants, parks or just inside the house, why not have your unusual date becoming a strawberry farmer for a moment with your partner while enjoying the romantic view of La Trinidad strawberry fields?" Rows of cultivated soil is being planted with this crop and interestingly, they are covered with plastic and that is weird to see but that's just the norm. The rows were just set into a coordinated fashion with almost the same length, width and spaces in between. 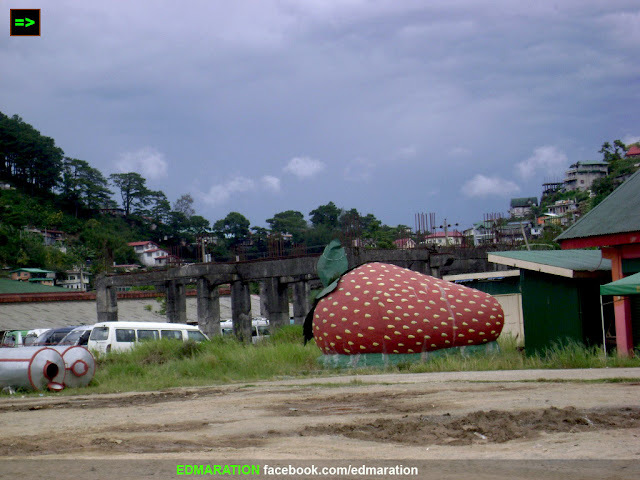 If you are not aware that you are already inside the Strawberry Farm of Benguet, you might not expect that this is the Strawberry farm and Benguet is the only province in the Philippines to host a Strawberry Farm. Well, it is February and love is again in the air. Looking for somewhere to spend your Valentines Day with your partner? 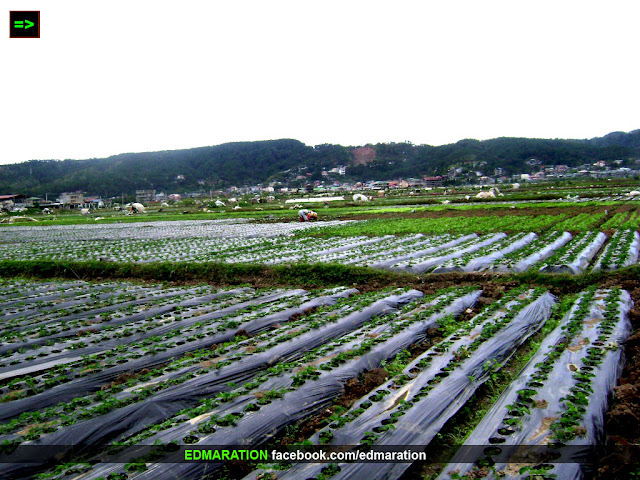 I swear the Strawberry Farms of La Trinidad, Benguet could be that romantic. Red is the color of the month and expect heart-shaped things in red to appear at shops or elsewhere as a sign of the coming of the Valentines Day. 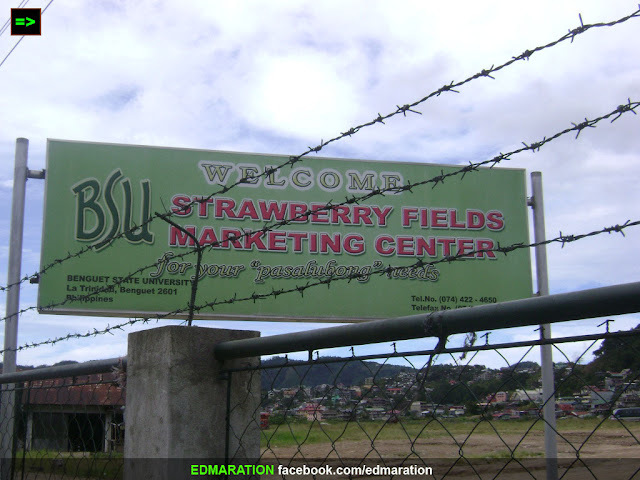 I understand the strawberry farm in La Trinidad, Benguet is still a part of the Benguet State University (BSU) Campus and they are I believe in charge of the operation of the strawberry farm. In fact, entering the farm, a huge strawberry will welcome you - however that is not edible, just a matter of a sculpted display just to give you an idea about the premises you are attempting to enter. Just one reason why the Strawberry farm is romantic for lovers is that the place is chilly and this might ignite you and your lover to go closer to create heat, hehe. As the cool Benguet wind blows, there's a reason to hold him/her tightly and I think that is valid, lol. 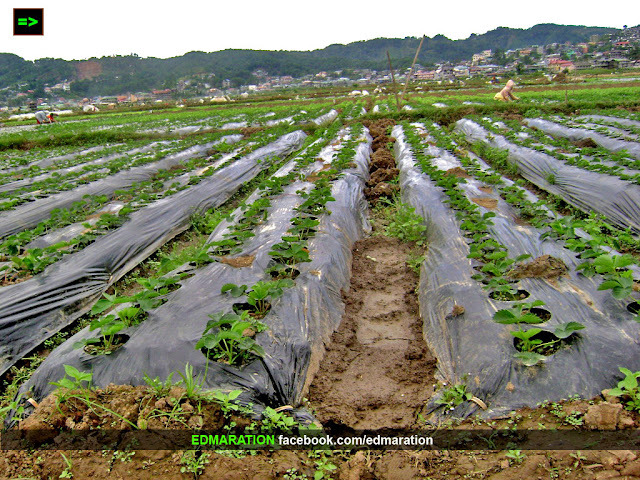 Ok, if still you're not convinced to spend your Valentines date in La Trinidad Benguet's Strawberry farm, let me give you another reason. There is also a certain activity in this place that might keep you bonded together for your whole stay and that is the strawberry picking. Yes! You can both harvest these strawberries direct from these farms and harvest time is within November to May. February is included so why not try it all away! Just a simple reminder, if you will choose to personally pick and choose your own strawberry at the farm, the cost of the strawberries is doubled compared to market price. The reason for this is that, amateur pickers tend not to be cautious in picking since most don't know the proper way of picking and this will lead the strawberries wounded and wasted. So for that price, you are paying 50% for the strawberries and 50% for the experience and wasted strawberries. The Benguet State University, being an agricultural campus, they extend assistance in processing these strawberries into different products. Going to the strawberry fields, you gotta cross the foot bridge below. 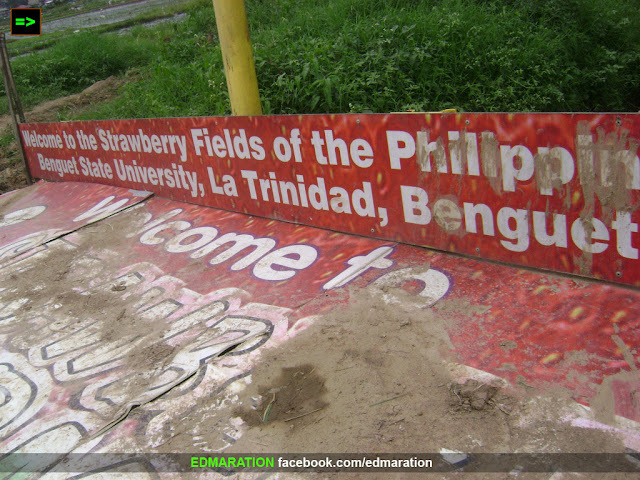 Well, why not spend your Valentines date out of town - and I would recommend the Strawberry farms of La Trinidad. 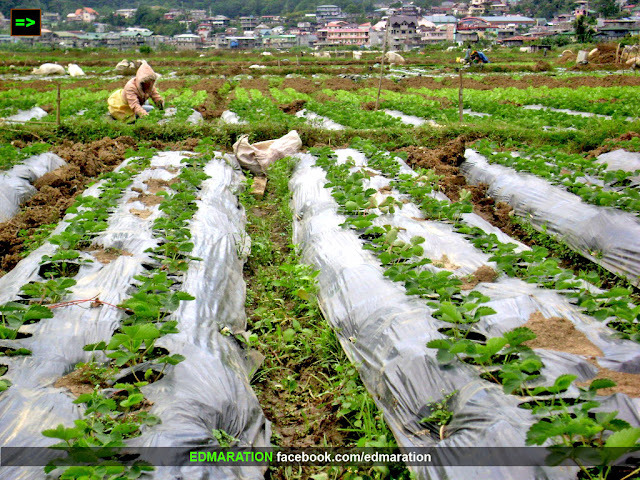 With the usual way of having a date in restaurants, parks or just inside the house, why not have your unusual date becoming a strawberry farmer for a moment with your partner while enjoying the romantic view of La Trinidad strawberry fields? 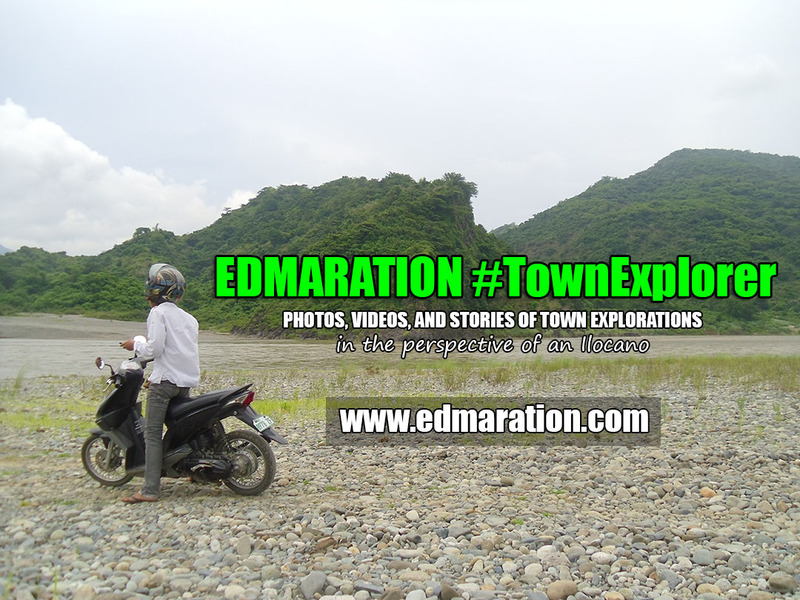 How to Commute to La Trinidad, Benguet from Baguio? 1. Look for a Baguio-Buyagan route jeepney along the road just in front of Baguio City Hall. 2. Ask the driver to drop you to the Strawberry farm. That's it! As simple as that! 1. Jeepney fare from Baguio to La Trinidad is 10 pesos (as of this writing, may subject to change). 2. For regular traffic flow, the trip may last for 30 minutes but could be longer if there is heavy traffic. For the left side of the road (coming from Baguio), important landmark to see is the La Trinidad Municipal Hall. For the right side of the road, important landmark to see is the Benguet State University Main Campus. 4. Don't go beyond the Benguet Provincial Capitol, that will be your landmark that you have already passed the farm. 5. 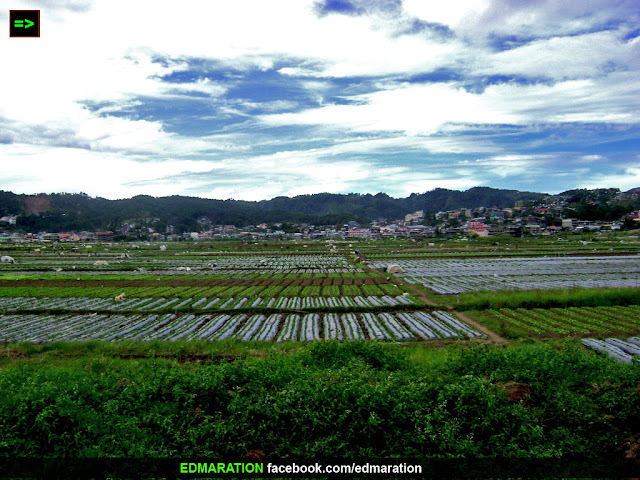 The strawberry farm is situated at the left side of the road (coming from Baguio). 6. The farm is not visible from the road, you have to walk a few meters away from the highway. 7. There is no entrance fee don't worry. ^^ Thanks ChrisAir for the like. Well, taxi is convenient too, but for tipid-travel, jeep could be nice for budget. Having the chance to gaze at that vast strawberry farm alone is already a treat in itself. What more the picking? But how I wish strawberry tastes as good as its smell. Or was it just the kind of strawberry I bought some time ago? ^^ Nancy[Admin], well you have to be a grown-up child in the strawberry farms to learn if the strawberry tastes well at just one look. ^^ Gemma, hope you would enjoy your Valentines here. ^^ Hehe, tried hard to relate really, haha. Yup, you gotta try strawberry picking next time. We were there last November. My kids loved the whole idea of picking strawberries, specially eating them afterwards. Dexter, ypu, should look after it soon. We so that every summer in England. BTW I have strawberry plant. Hoping to harvest them in summer. Nice article! keep blogging! Rudolph, yes you can do it! yuuki, yup, that's why I am suggesting this. try the picking again next time. My aunt lives just a few kilometers away from the strawberry farm. 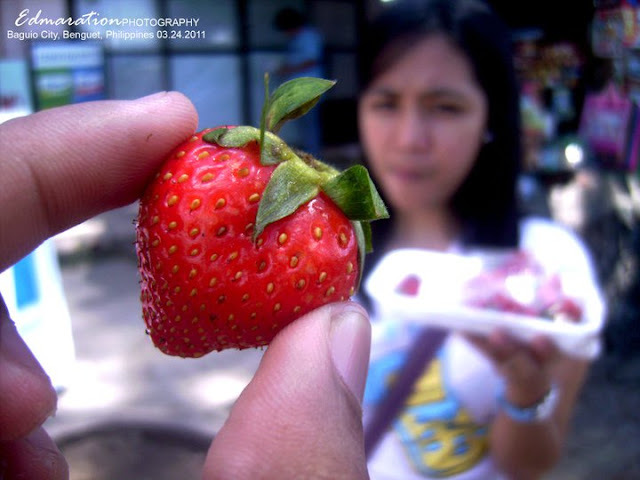 When I stayed at her house, I think we just walked to go there :D All those gorgeous strawberries are making me want to go back to Baguio! well, that's different. i wonder how it'd feel like celebrating valentine with a loved one surrounded by luscious strawberries...this just made it to my bucket list. why not. strawberries are close resemblance of a heart shape. i think also those are covered with plastics to prevent those from being infected by pests and maintain its freshness. Ding, talaga? will research for it. Or that's a joke in the long run? hehe. Germz, yey!! At least walang komontra sa Valentines special post ko when I related it to the Strawberry farms, hahaha.. And yeah, now I know, those plastics protect the berries. ^^ Tess, yes! Salamat at hindi ka komontra na Valentines post ito. haha. this is exactly where we went during one of our educational tours some years back and we truly enjoyed the beautiful fields of strawberry. I love Baguio by the way..
And i miss the original strawberry jam and UBE jam...plus peanut brittle..
Earlied, the strawberry jam is my most favorite product from these berries. Yummy.!! Same to you patricia! Enjoy. 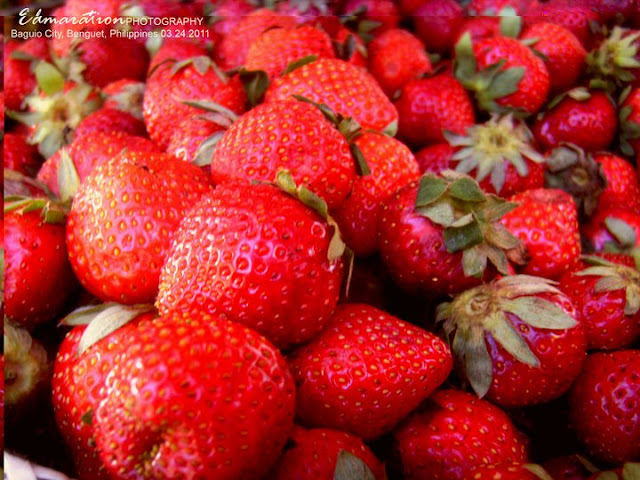 I've been to Baguio 3 times but never experienced picking strawberries. Uff! Mrs. Kolca. Gotta try it next time. 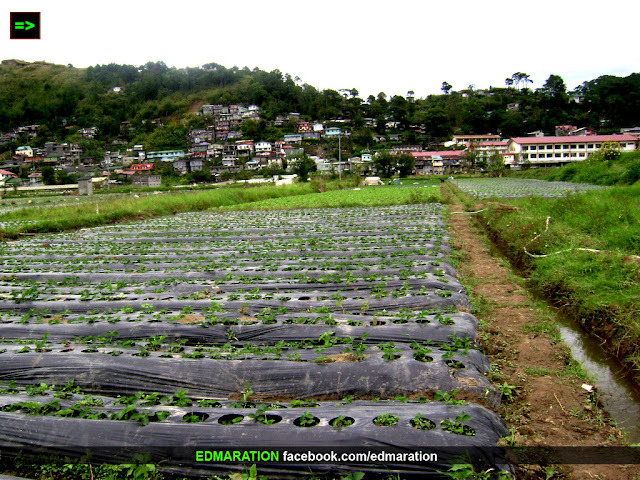 Strawberry Farm is 30 minutes away from downtown Baguio. Blanca. Oh yeah!! 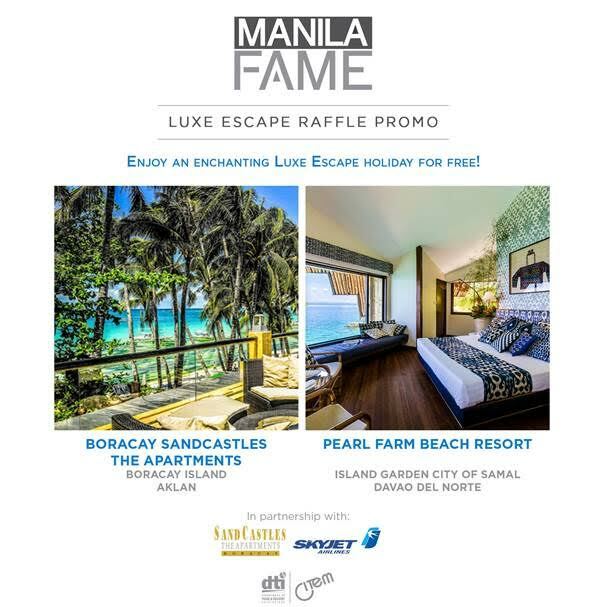 Excape Manila this summer! Have a blessed and safe trip to Baguio! Parang napuntahan ko na tong place na ito sa Baguio. Di ko lang sure kung ito yung napuntahan namin noon. It's kinda exciting yung pamimitas ng strawberry pero hehehe...di ko masyadong gusto ang lasa. Is the public routing still the same until now. We want to go there via commute.